kidslooklikekats: Psychic Ills: "Mirror Eye". "More Psych-Rock!" cries the oceans of blood the world over, and Psychic Ills meets these demands with a surprisingly fresh take on such an easily discredited subgenre. Mirror Eye makes for an understated journey through the depths of our inner being - one simulated acid trip after another. You've spoken, and they've heard; Pyschedelic Rock has become the voice of the new year, with the hugely successful release of Animal Collective's Neo-Psych masterpiece Merriweather Post Pavilion and Oneida's Thank Your Parents triptych soon to see its sophomore companion. The question is: does Psychic Ills' Mirror Eye backstroke or doggie paddle through the emergent sea of Neo-psychedelia? The key ingredients to any effective Psych-Rock release are all there: severely sustained, ringy guitars in a slightly over-cooked stew of reverb and delay, incomprehensible vocal instrumentation as well as spacey flange-swells and piano peckings placed lovingly (or haphazardly - you decide) throughout. Adam Forkner may raise an eyebrow, yet the competition is weak from the songwriting's perspective. 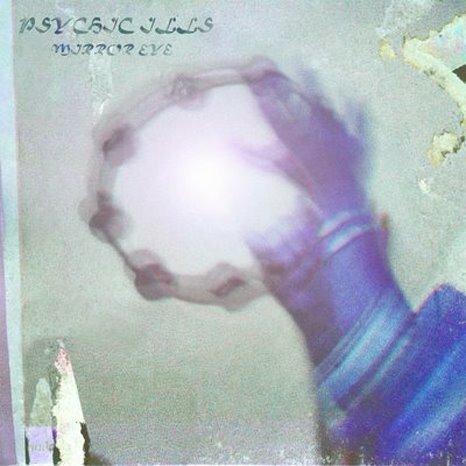 Where earthy acts such as Yume Bitsu and Shalabi Effect masterfully utilize the spacey ambience and Middle Eastern influences within such already-fortified tunes as "Imps", "Blue Sunshine" and Yume's magnificent Golden Vessyl of Sound, Mirror Eye drowns its audience in the self-indulgent stoner rock of any moderately-capable garage band. The songwriting is slightly non-existent, and all that rings true after each note is the one before it; the brush hits the canvas again and again, and the painting looks something like my great grandmother's arts and crafts hour gallery.